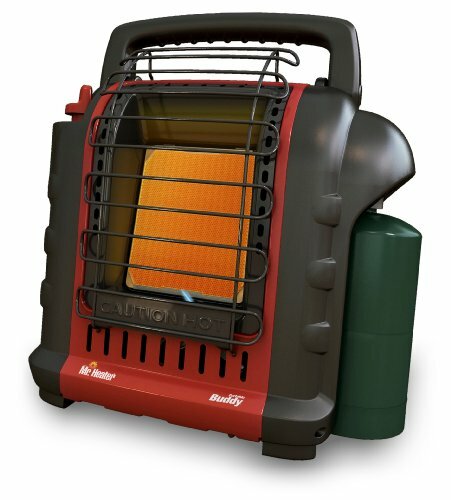 The MH9B little buddy is a 4,000-9,000-BTU portable, indoor safe radiant heater. A single 4,000 heat setting delivers sufficient radiant heat for a space up to 200-square-feet. Safety features include a tip over switch that will shut the heater off if it gets knocked over and a low oxygen sensor that shuts the heater off when oxygen levels in the room get too low. The pilot design will also shut the heater off completely if the pilot light goes out. Heater uses a knob for ignition and a separate single button acts as a kill switch. Clean burning and nearly 100-percent efficient. CSA approved and factory tested with a one year warranty. Tank not included. (not intended for use in California. See item F232025).